Buy this Hello Kitty summer design earrings. This edgy set of Hello Kitty earrings comes with 4 different designs so you can mix and match them with any outfit. We love Summer! 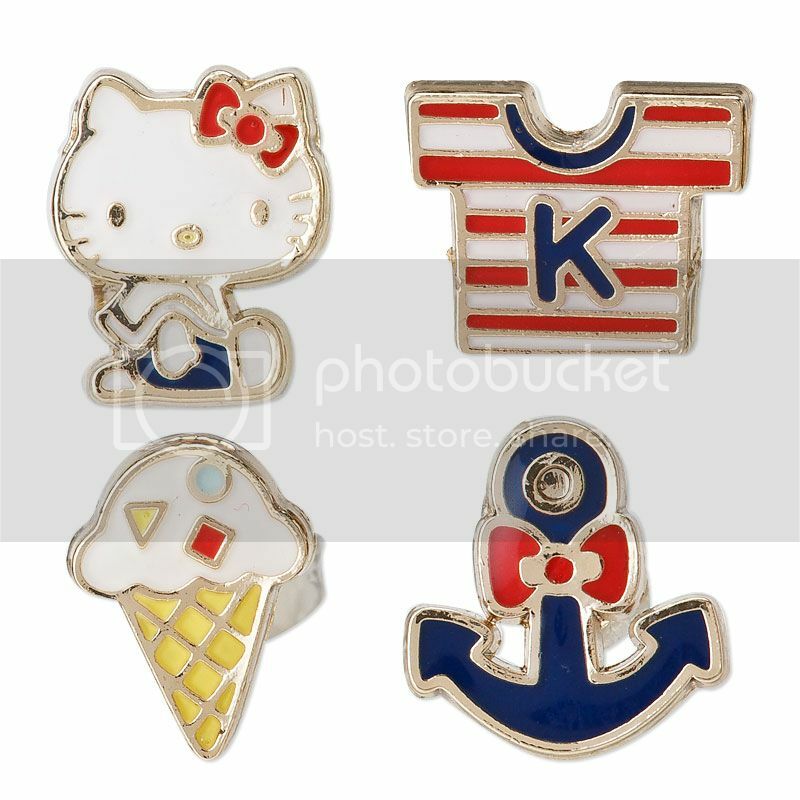 *Hello Kitty: 0.9 x 0.7 cm / 0.35' x 0.27"
*Clothe: 0.7 x 0.9 cm / 0.27" x 0.35"
*Ice Cream: 0.9 x 0.7 cm / 0.35" x 0.27"
*Anchor: 0.9 x 0.9 cm / 0.35" x 0.35"